Amnesty said Mr Benenson "brought light into the darkness of prisons"
The founder of human rights group Amnesty International, Peter Benenson, has passed away aged 83. 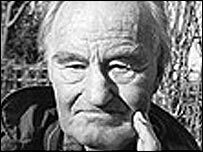 He died on Friday at the John Radcliffe Hospital, Oxford, after a long illness. The British lawyer set up the group in 1961, after reading an article about the imprisonment of two students in Portugal who drank a toast to liberty. "Peter Benenson's life was a courageous testament to his visionary commitment to fight injustice around the world," said Amnesty's Irene Khan. "He brought light into the darkness of prisons, the horror of torture chambers and tragedy or death camps around the world. "This was a man whose conscience shone in a cruel and terrifying world, who believed in the power of the ordinary people to bring about extraordinary change and, by creating Amnesty International, he gave each of us the opportunity to make a difference. "In 1961 his vision gave birth to human rights activism. In 2005 his legacy is a world-wide movement for human rights which will never die." A public memorial service in tribute to Peter Benenson will be held by Amnesty International at a date yet to be announced. The impetus for the movement began after Mr Berenson read how two students in a Portuguese cafe had been imprisoned after raising their glasses "to liberty". A frontpage appeal in the Observer newspaper for the "forgotten prisoners" followed, as did the term "prisoner of conscience" and Amnesty International was born. In its first few years its founder provided much of its funding and was involved in all aspects the organisation. "At that time we were still putting our toes in the water and learning as we went on," he later said. "We tried every technique of publicity and we were very grateful to the widespread help of journalists and television crews throughout the world who not only sent us information about the names of prisoners but also, whenever they could, gave space to stories about prisoners. 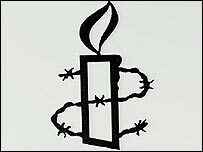 Today, Amnesty International is in its 44th year and is the world's largest independent human rights organisation. It has more than 1.8m members world-wide.